Dentures may not be the first thing that comes to mind when thinking about wearable technology, but their design and construction is as impressive as any other object in this collection. Each tooth is selected from a bank of hundreds of shapes and sizes to provide the best possible fit and feel, and is colour-matched to provide a seamless integration with the user’s existing teeth. Each tooth is then fabricated using materials that can stand up to everyday biting and chewing, without chipping or cracking, while still feeling natural in the mouth. 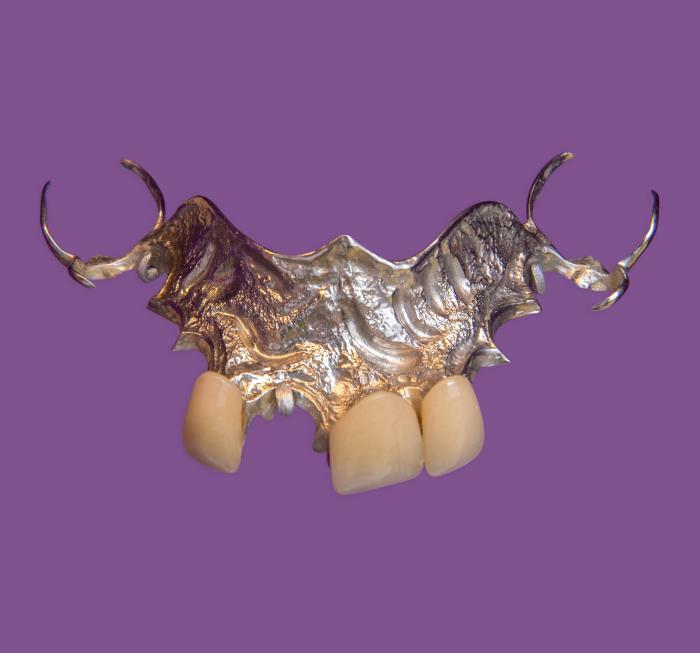 In the case of partial dentures such as these, the teeth are then finally installed into a custom-moulded mouthpiece that attaches firmly to the existing teeth for comfortable daily use, while also permitting easy removal for cleaning. Made in Buckingham, Quebec, Canada.